Hartwig Fischer, the director of the British Museum (BM), has so far proved to be quieter and less publicly visible than his predecessor Neil MacGregor. But in the two years in which Fischer has been at the helm of the BM, he has begun to make a significant, even dramatic, impact on the displays. One of the biggest transformations so far has been in the museum’s galleries of Islamic art, which opened on 18 October: the Albukhary Foundation Gallery of the Islamic World. On this week’s episode of The Art Newspaper podcast, Jane Jakeman, the novelist who regularly writes about Islamic art, says that the Islamic collections had previously been “squashed into crowded cabinets right at the back of the building and you only found them by happy chance unless you were really searching for them”. In the previous displays, she says, “everything was really a bit dull and dim and slightly dusty looking”. In the new hang, however, the exhibits have “two enormous galleries… and they have masses of space and light and very high ceilings”. Colours are allowed to sing, so “you really get the glitter and the shine and the pinks and reds, and absolutely heavenly arrays of blues, from turquoise through all the peacocky colours,” Jakeman says. You can hear more of Jakeman’s views on the Albukhary Foundation Gallery of the Islamic World on The Art Newspaper Podcast, which you can also find on iTunes, Soundcloud and TuneIn. Also on this week’s episode, we hear about the Bruce Nauman opus at the Museum of Modern Art and MoMA, PS1, New York. 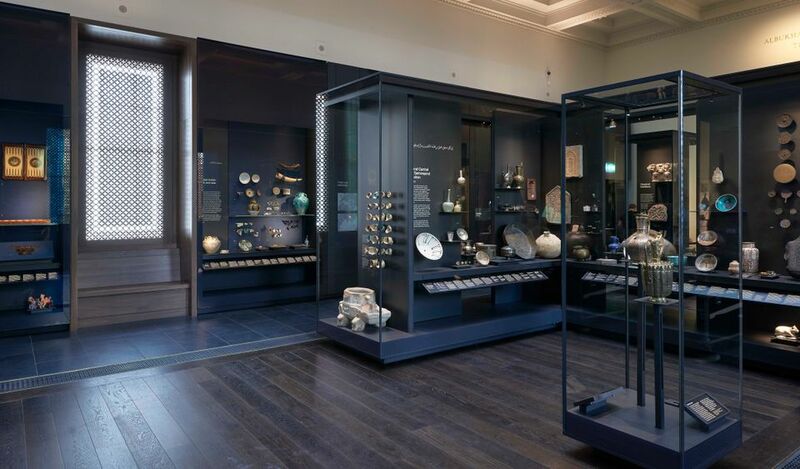 • The Albukhary Foundation Gallery of the Islamic World, British Museum, London, is open now. Why is the British Museum still accepting tobacco sponsorship?